Why hello there!! I did not in fact fall off the face of the earth. I have just been busy with medical school. It’s kind of life consuming. I just finished my first set of block exams for my first semester. (Block exams are like finals. We have them 3 times a semester. Yep…) I have only been in school for 6 weeks and yet it feels like it’s been a lifetime. Last night I slept for 12 hours, to make up for my sporadic sleep schedule during the past week or so. The latest I stayed up to study for a test was 4am. I couldn’t help it, there was just so much to learn! I had 4 major exams and thank god I passed all of them (and passed them well) and was able to enjoy my weekend. All I have been doing is sleeping, eating, and watching TV. Oh, and baking, of course! I wanted to whip up some cookies for my wonderful study partner who helped me survive the torment of 10 hour study days. These cookies are amazing. Perhaps the best I have made yet. And very, very easy to prepare. I found the recipe here. The secret ingredient is Jello vanilla pudding mix. Who would’ve thought! 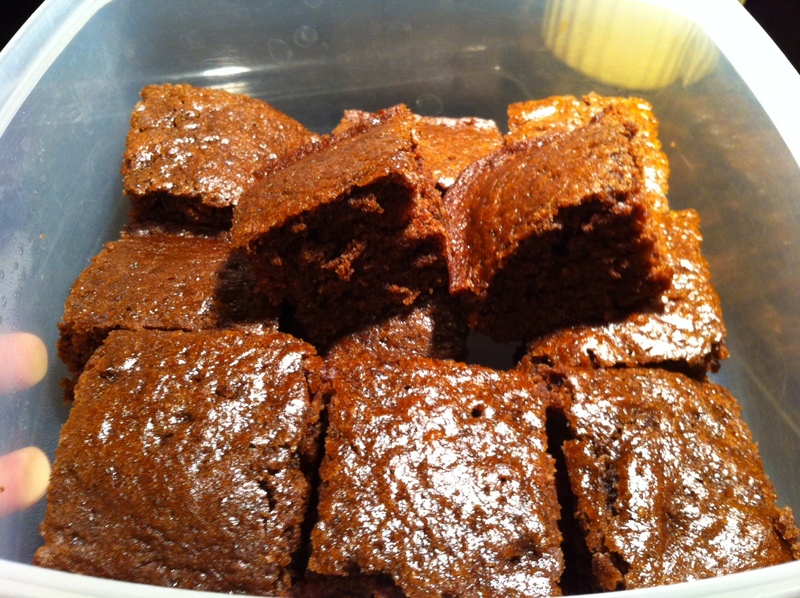 It really improves the texture and makes them melt-in-your-mouth yummy. 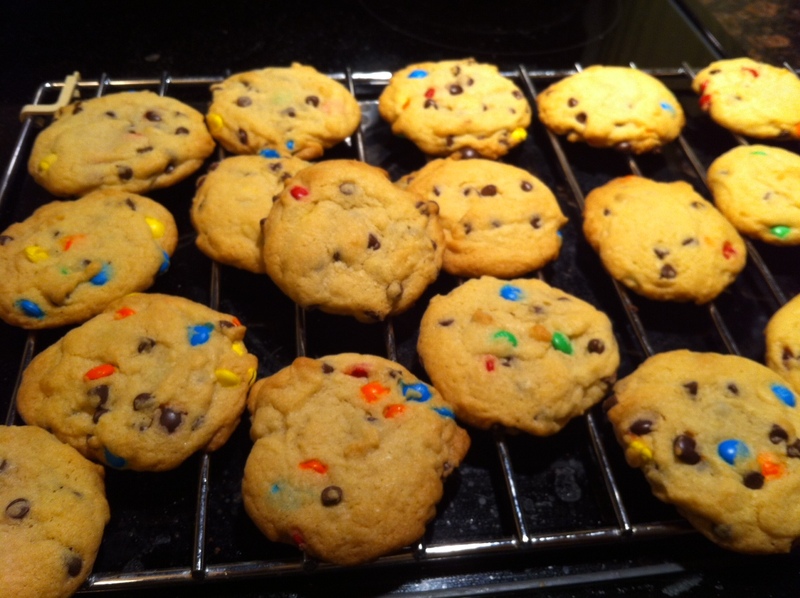 I also liked the use of mini M&Ms and mini chocolate chips, they mix into the batter better than the normal-sized ones. 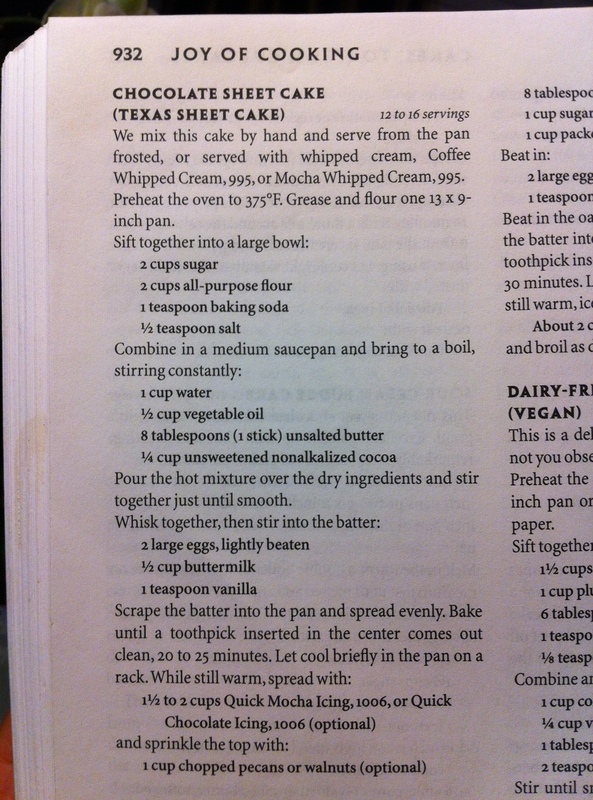 I also made a chocolate cake (called Texas Sheet cake) from a recipe in Joy of Cooking (below). AMAZING, AMAZING chocolate cake. Not too fudgy, more like a cocoa flavored cake. Makes sense since the only chocolate ingredient I used was cocoa powder. 🙂 Very moist, very delicious. Neither of these recipes are low fat or low sugar. They are kind of fatty, but not overly sweet. Sometimes, you just have to treat yourself (and your friends)! It beats going to the bakery. At least I know what I put in my sweets! Fresh ingredients, and some of them are organic too. Makes me feel good. Back to the daily grind on Monday, but for now I am going to savor these sweet moments (haha, I am so funny, and corny) and kick back and relax. Hope you all have a lovely weekend! !